Asbestos is a naturally occurring mineral that is mined and used for its strengthening, binding, insulating and fireproofing attributes. Its many uses have been utilized for centuries and have become widely used in the United States after World War II. Asbestos mineral fibers have been found in over 3000 different commercial products to date. What are the dangers associated with asbestos? Once inhaled, asbestos fibers can easily penetrate the lining and organs of the respiratory system, causing significant health issues. The level of risk varies from person to person and from the quantity of fibers inhaled and the length of exposure that has occurred. The symptoms from asbestos exposure usually take years to manifest. Asbestos is widely associated with respiratory diseases such as asbestosis, lung cancer and mesothelioma. Asbestos is found in numerous building materials and can be commonly found in roofing materials, Transite siding, joint compound and wall textures, floor tiles and mastics, and various types of insulation. Do I need an asbestos inspection? An asbestos inspection is required by the State of Colorado for all remodel, renovation and demolition projects. Asbestos inspections must be performed by a state certified asbestos building inspector to ensure that a proper and thorough investigation has been performed according to all state and federal regulations. What if my house was built after the 1980’s? An asbestos inspection is still required for homes built in the 1980s or later. Even though asbestos has been banned as a building material in the United States for years, we continue to import building materials from other countries. Because of this, finding asbestos containing building materials in a new built home is a possibility. Can I take asbestos samples myself? Anyone can take their own samples and send them to a laboratory for analysis. However, an asbestos inspection must be performed by a Colorado State Certified Asbestos Inspector for any work requiring permits or for any work that will disturb suspect asbestos containing materials over the trigger levels (Residential properties= greater than 50 linear ft, 32 square feet or 55 gallon drum of suspect material/ Commercial properties= greater than 260 linear feet, 160 square feet or 55 gallon drum of suspect material). I don’t see “asbestos inspection” listed as a requirement on my permit. Do I still need an asbestos inspection? Yes. An asbestos inspection conducted by a State Certified asbestos inspector must be performed for all permitted projects. 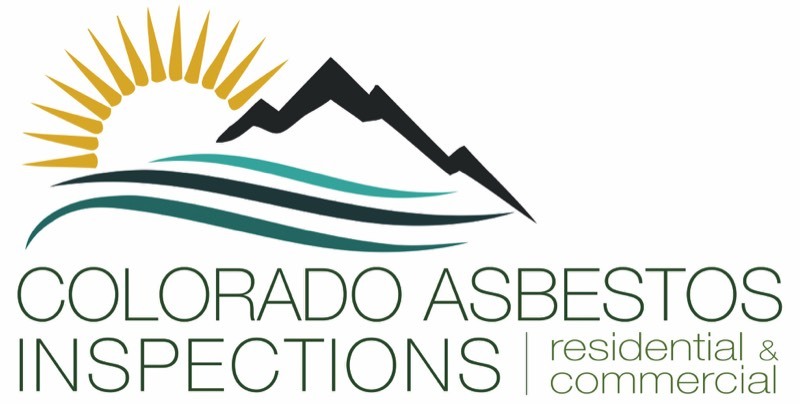 Asbestos inspection requirements are regulated by the State of Colorado (Contact Colorado Department of Public Health and Environment/CDPHE for more information). Permits are issued by cities or counties. What if asbestos is discovered in my home? Asbestos needs to be removed only if the material will be disturbed. If materials are going be removed than it must be done so by utilizing the services of a professional state certified abatement contractor. Once the contractor has finished removing the materials, a final air clearance will be performed to ensure that all dust and debris has been properly removed and that acceptable air quality as determined by state and federal regulations have been achieved. Go to http://www.cdphe.state.co.us/ for more information concerning guidelines and regulations on asbestos.